We want all our Festival goers to have a great time at the Festival so here’s some helpful information for families planning a visit. 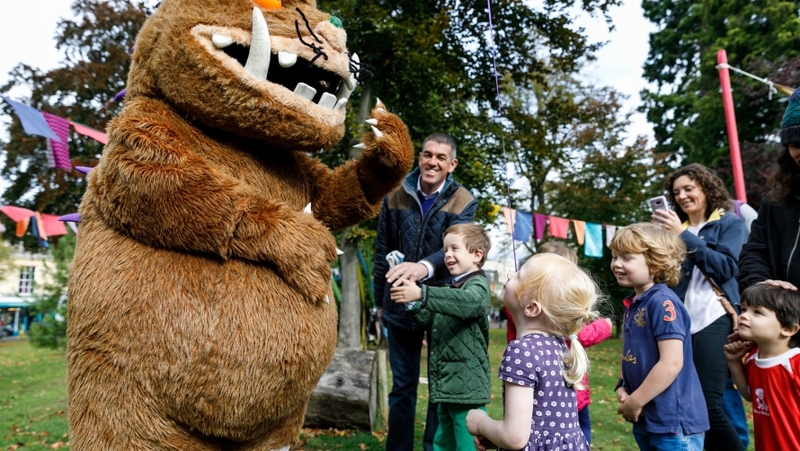 We provide guidance on age suitability on all our family events to help you plan your day out. We want to ensure that everyone is safe at the Festival, so children under 12 must be accompanied by a responsible person aged 16 or over, approved by the parent / guardian. We keep our prices as low as possible to allow for this. This person can accompany a maximum of 6 children to an event. Cheltenham Festivals maintains a Safeguarding Policy, but cannot take responsibility for unsupervised children. All of our venues at The Times and The Sunday Times Cheltenham Literature Festival Village are wheelchair and buggy accessible. If you have any concerns or any of your family have special requirements please call our Box Office on 01242 850270 who will be able to offer advice and take your booking. If wheelchair spaces are required please book an advance to ensure availability and avoid disappointment. Please note that Tickets for festival goers who are registered disabled will be charged at the standard price of the ticket. A carers ticket is complimentary. Events which include catering, books or any other goods, do not qualify for a free carer ticket. There is an under cover buggy park outside of our family event tent called the Hive. Spaces are limited and available on a first come first served basis. Owners leave their buggy at their own risk. We have accessible toilets and baby changing facilities that both men and women can access on site to ensure everyone can enjoy their festival visit. There is a children’s play area and skate park within the park where the Literature Festival is held. This is a perfect place for children and young people to left off steam. We have a fresh water tap on site so you can bring your own water bottle and top up for free throughout the day. This is located near the main portaloos behind the Feast Café. Healthy food and drink options suitable for families are available at the Festival Village. We welcome breastfeeding mums.